The C3 Teen Act Creation Week offers teens (ages 11-18) an opportunity to create both a solo and group act in just one week! Under the guidance of an instructor they will compose their own solo act in the morning session. In the afternoon the group of 6 students will work together with an instructor to create a multi-disciplinary group act that highlights each student's strengths. Teens will learn choreographic methods and approaches while adding to their repertoire of circus skills over the course of the week. Unlike the Youth Summer Program (open to ages 5-16yrs) the Teen Act Creation Week curriculum will be focused both on learning and show creation and will culminate in a more formal showcase at the end of the week. The C3 Teen Summer Program offers teens (ages 12-18) an opportunity to explore circus arts to their hearts content! 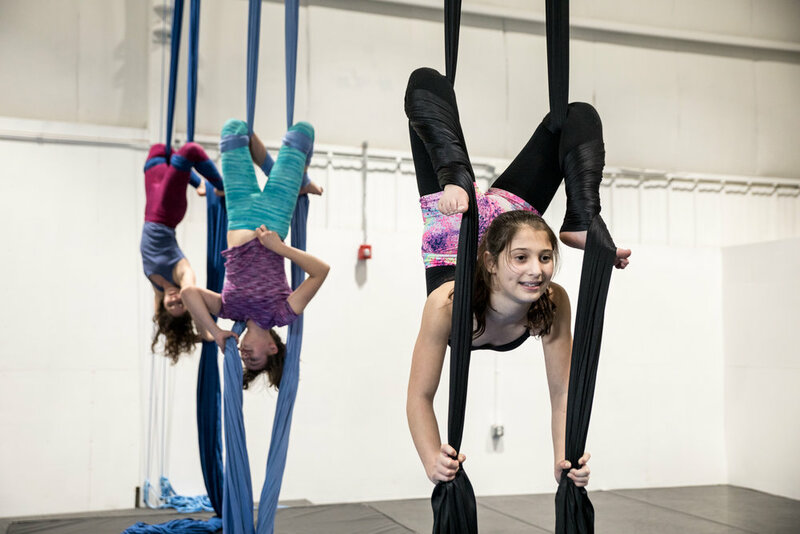 Students will study the true breadth of circus, including aerials, ground acrobatics, juggling, clowning, performance, and more. We maintain a low student to teacher ratio so that all students receive safe, high-quality instruction. Unlike the Youth Summer Program (open to ages 5-16yrs) the Teen Program curriculum will be focused both on learning and show creation and will culminate in a more formal showcase at the end of the week. Looking for a summer circus program aimed at a wider age range? Check out our Youth Summer Programs for ages 5-16!